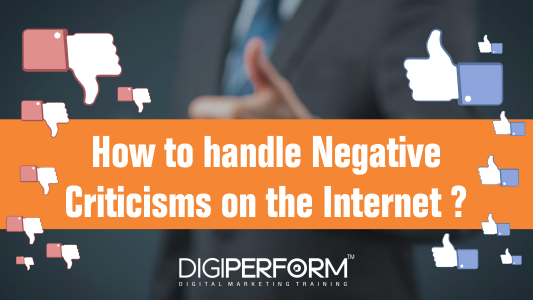 Digiperform > Blog > Business & Digital Marketing Tips > How to handle Negative Criticisms on the Internet? How to handle Negative Criticisms on the Internet? One of the most important digital marketing strategies to gain new customers is to observe – what your audience have in their mind. 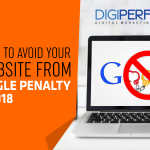 Most of the consumers, before buying a product or hiring a service, read the brand’s review, opinions, and comments of other users on Google or social media networks. Unfortunately, although even your business is the best in the world, still the time comes when it appears in the so-called trolls and negative criticisms. And, being a big entity, one should know how to handle these crises. Let’s see how we should handle them. In the language of the Internet, a troll characterizes a message, a debate or a person whose objective is to generate/create controversy. It is not far from the image of an evil and unfortunate being, and, a troll, generally, hides behind the screen to distribute its poison unjustifiably and harm a brand, company or person. Internet, Social media marketing, and blogs have always been defenders of the rights of expression and this is the main reason why it is very difficult to avoid a troll. You’ve just started your business, your audience is very receptive and everything seems to be going like clockwork, but there comes a troll who devotes all his soul to stain your reputation and denigrate your work. Why? Well, because the world is not a perfect place. Your success is envious and you will have to know how to keep quiet so as not to waste time and effort on people who don’t deserve it. People do not like that something is not to their liking, and trolls are a perfect example. But, maybe, in the end, having a troll isn’t so bad…..Why? to constructive criticism that indirectly improves its image. In any case, you should know how to handle criticism or a negative comment on the Internet, since we all know the importance of the Internet to the entrepreneur. The trace of your good or bad reaction will remain for life on the net, so you better be careful. The first thing you have to do is breathe and relativize. Always think that criticism can be favorable for you and become an opportunity. The main mistake made by beginners is to hide or even delete the negative comment on the web, and this is not the way to go. You have to face criticism even if it is more or less justified. Give a quick answer. Before the silence, the nerves rise and your troll will only duplicate his efforts so that the world knows his bad experience. As long as there are two or three people agreeing with the same thing, not giving an answer will make room for a chain of “me too”. Don’t get carried away. Some comments may not be respectful. Don’t fall into the trap. Take a deep breath and try to put yourself in the place of your interlocutor. Education is one of the bases for maintaining a quality relationship with customers. Be as friendly as possible. The troll may focus on your problem and not value it, but others will appreciate the patience with a person of bad faith. If your company offers, for example, telecommunications services, such as Call Center software, PBX… there are probably numerous trolls, dedicated to the same sector (or not) that want to sink you. Once the general attitude has been clarified, we will make a small focus on the different types of trolls you can find on the Web and the best way to deal with each of them. The proud trolls are little spies hidden in the shadows, ready to do anything to prove that they know everything better than the others. In general, their first comments are not negative. They seem to be interested in a product, service or publication by asking fairly easy questions. Little by little, the questions become more and more specific and that’s where you’re expected to attack. These types of trolls are experts in their field and are very pretentious. The only purpose of their comments is to show that they are better than you, and if they can destroy you along the way, believe us, they will. To answer the proud trolls, don’t ignore them, or else they’ll bother you. Answer as quickly as possible, politely, trying to avoid the traps you have left. If they attack you, it’s because the proud trolls see you as competition. So trust your knowledge. Envious trolls are unpleasant and bitter individuals who, faced with the success of others, spit out their poison. If your products are successful, your publications are commented very positively or if you have a famous blog, the envious troll will be there to ruin your moment. In the slightest detail, their jealousy will take over their reason and negative comments will merge. Against envious trolls, the ideal is not to respond to provocation. Each of your responses will lead to another because these types of trolls are professionals in the practice of deaf language. Before reacting to an envious troll, remember that “ignorance is the worst contempt“. An amateur troll bothers for pleasure. The negative comments are not motivated by jealousy or the desire to appear. These people are simply critics. They like to leave comments that destroy you for no reason, just for the sake of doing harm. Amateur trolls are not used to following a real conversation. In general, they spit out their poison and don’t come back. To handle these negative comments, take your patience and respond to something basic to make it look good, such as: “We regret that our article/product/ service is not to your liking. Thank you for coming back“. If you’re subject to valid negative comments, or not, know that you’re not the only one. In addition to following our tips for managing these comments, you’ll need patience. Two or three trolls are nothing compared to billions of people on the net. If your response is appropriate, these small inconveniences will become charms for your customers or potential readers. Now you have the weapons to fight these trolls that bother you. Take advantage of this opportunity and respond by demonstrating your tact, your elegance and especially your professionalism. This way, you’ll build great customer loyalty with digital marketing. Emma Smith, PR and Content Manager at Fonvirtual. Fonvirtual provides companies and entrepreneurs with international virtual phone numbers and other virtual services. I’m interested in digital marketing, technology, and international logistics. I am a usual collaborator in blogs, where I try to spread the word of telecom services in international business. How to Boost a Facebook Post Effectively? It is a very useful information. Thank you very much for sharing this information.